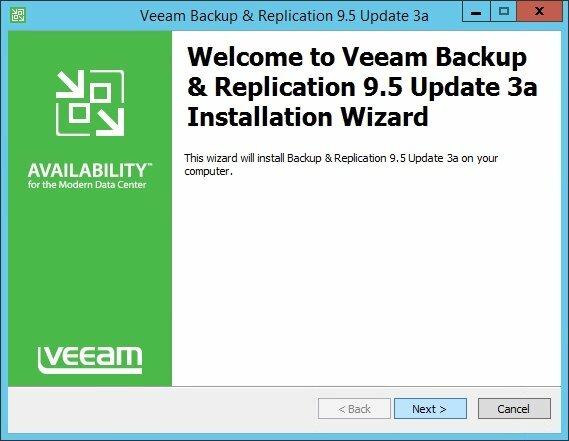 Veeam released the new Veeam Backup and Replication 9.5 Update 3a introducing some enhancements, such as the support for VMware vSphere 6.7, and bug fixes. 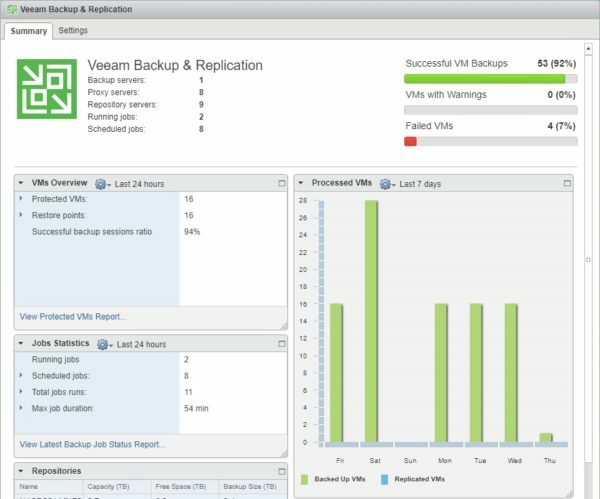 After the release of latest VMware vSphere 6.7 version, most backup software vendors are introducing the support for the new vSphere release in their backup solutions. 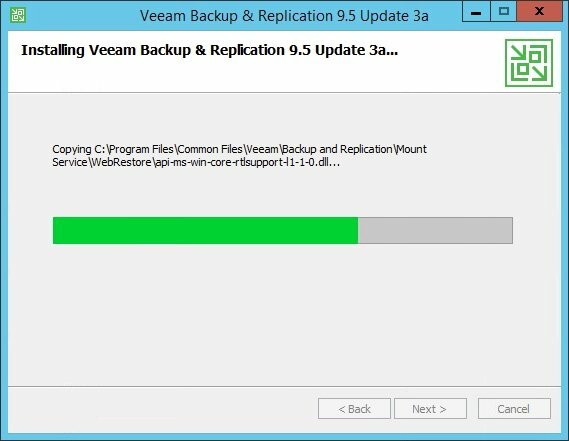 Veeam Backup and Replication 9.5 Update 3a introduces also some performance improvements concerning DirectSAN and Hot Add transport modes as well as the support for some platforms. The support for VMware vSphere 6.7 is the main feature added to this new release and includes also the new Veeam HTML5 plugin version for vSphere Web Client. Added the asynchronous NBD/NBDSSL support for improved read performance of network transport mode with ESXi 6.7. Added the suport for Btrfs volumes located on an LVM volume and for Linux SUID and SGID preservation to Copy To operation. Performance of enumeration in File to Tape jobs with a large number of files has been improved. To improve security, with the Update 3a the application-aware processing logic now requires the logon as batch job rights (instead of interactive logon) configured for the account used to connect to SQL Server to perform transaction logs processing. This change requires to disable the Deny log on as a batch job for the used account (previously the Deny log on locally and Deny log on through Terminal Services permissions were turned off). Before proceeding with the update, make sure you are running version 9.5.0.580, 9.5.0.711, 9.5.0.802, 9.5.0.823, 9.5.0.1038, 9.5.0.1335 or 9.5.0.1536. You can check current installed version under Help > About menu. 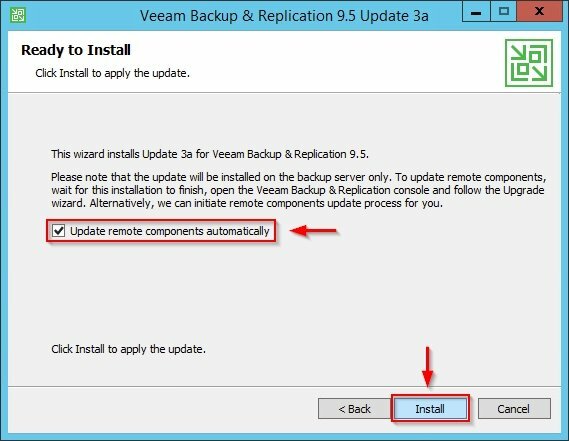 To proceed with the update, disable all active processes run the Update 3a installer downloaded from Veeam website. Click Next. Enable Update remote components automatically option then click Install to proceed with the update installation. The update is being installed in the system. When the update process has been completed successfully, click Finish to exit the wizard. 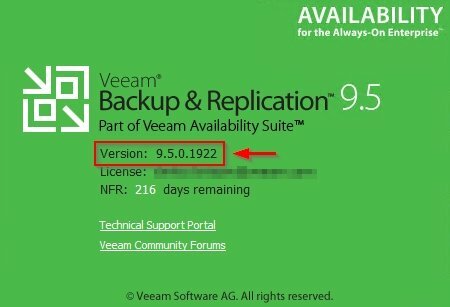 Open the Veeam console and go to Help > About to verify the installed version. After upgrading, the build number is 9.5.0.1922. 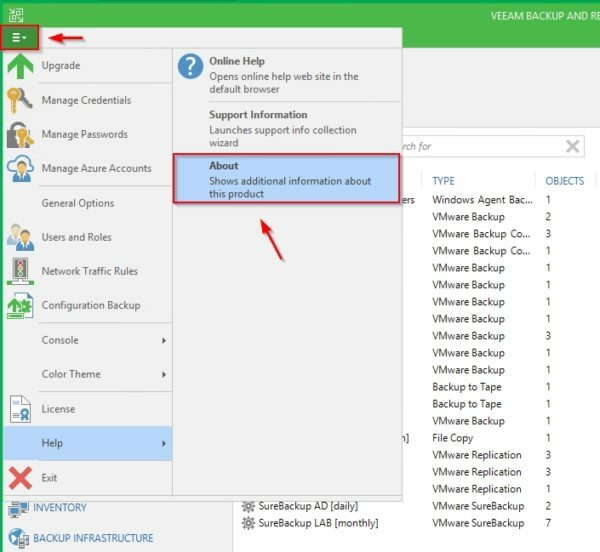 When the Veeam console installed on administrator's computers is launched, the system detects the new version. Click Yes to perform the update. Additional info about Update 3a can be found in the Release Notes. 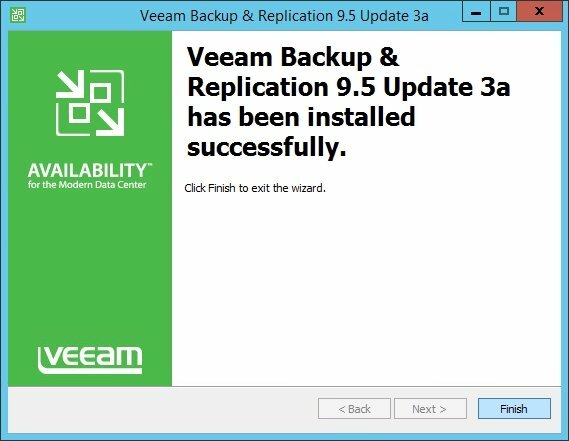 Veeam Backup and Replication 9.5 Update 3a is available to download with backup agents included or alternatively without backup agents.